Last night Eric Gordon, CEO of the Cleveland Metropolitan School District, Dr. Thea Wilson, Vice President of Children and Families from the Council for Economic Opportunities, Akram Boutros, CEO of MetroHealth Hospitals and Sharon Sobol Jordan, Chief of Staff for Cuyahoga County discussed the opportunities and challenges for early childhood learning going forward after a year of focusing on the First 2,000 Days of a child’s life. The community focus was led by Ideastream, the Plain Dealer, Cleveland.com and PNC Bank. The Council for Economic Opportunities was recognized for providing high-quality preschool to children and families in Greater Cleveland and continuing to improve its offerings to those living in poverty in the community. Eric Gordon commended the Council for Economic Opportunities on being identified as a national bright spot by the National Head Start Association (NHSA). Dr. Jacklyn Chisholm, president and CEO and her leadership team will be traveling to the NHSA National Leadership conference to tell the story of the organization’s turnaround within two years to Head Start leaders across the country. 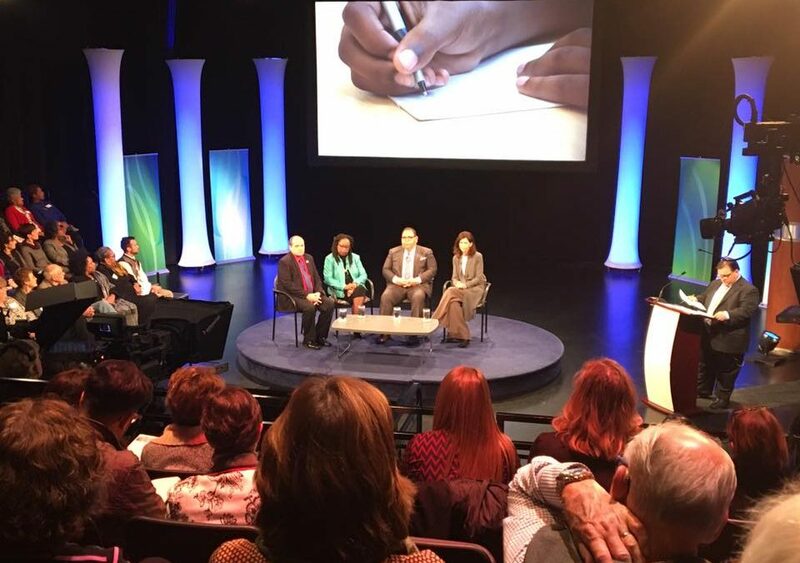 Mike McIntyre, host of Ideastream’s Sound of Ideas, WVIZ’s Community Connection and the evening’s panel discussion also spotlighted the Council’s new partnership with Police Chief Calvin Williams and the Cleveland Division of Police called Friendship through Reading. This innovative program, the first of its kind in the country, fosters trust and confidence between police officers and children through reading together. It was an important evening for the Council as it continues its commitment to better serve the residents of Greater Cleveland. Read more and watch the discussion here: The Plain Dealer and Ideastream.